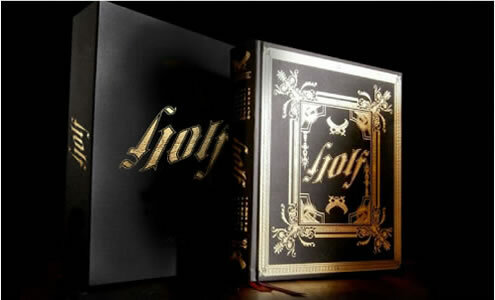 The Bible Of GOLF, by Paul Skellett and Simon Weitzman, brings 542 pages of art, photography and illustrations and is available in 4 different editions. 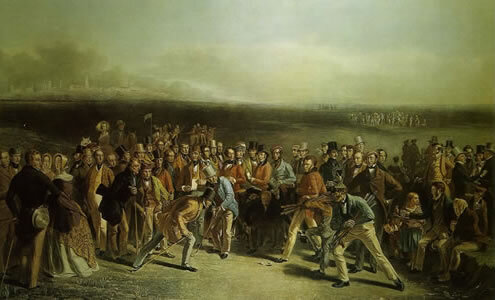 One of the most famous golf paintings of all time is "The Golfers", Grand Match at Golf. It was painted by Charles Lees in 1847. 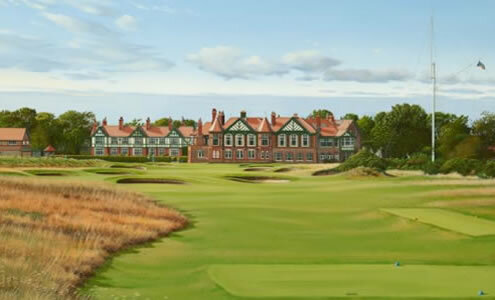 Graeme Baxter is the official artist for The Ryder Cup and The Open. We have a large selection of his golf course prints for sale. 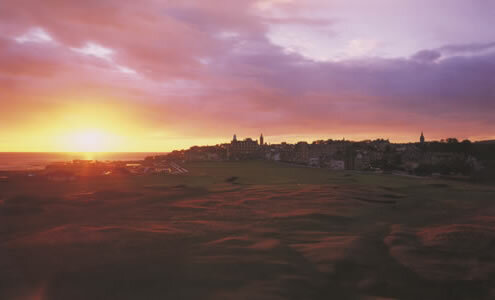 Our selection of magnificent photographs of the Old Course at St Andrews were taken by the famous golf course photographer Masakuni Akiyama. Where would you like to visit for golf?